The U.S. Secretary of Agriculture Sonny Perdue announced that fresh beef imports from Brazil have been suspended due to food safety and animal health concerns. Shipments will be suspended until the USDA is satisfied that the Brazilian Ministry of Agriculture has taken the appropriate corrective actions. 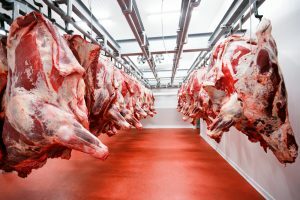 USDA’s Food Safety and Inspection Service has been inspecting all the meat products coming from Brazil into the United States since March and have refused the entry to nearly 1.9 million pounds of Brazilian beef products. Since the increased inspection began, 11% of Brazilian fresh beef imports were not allowed to enter the country. That represents a substantially higher rejection rate than just one percent of all the shipments received from the rest of the world. The suspension coincides with a recent raid by government authorities on Brazil’s largest food-processing companies JBS and BRF. The companies are accused of allowing rotten meat to be distributed throughout Brazil, as well as exported to Europe. The USDA also notes that none of the rejected beef made it into the U.S. market.